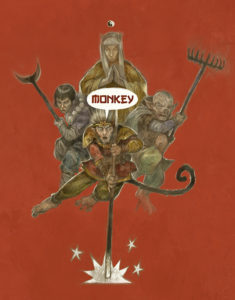 Monkey: The Storytelling game of the Journey to the West, is based on the Chinese classic “The Journey to the West” and if you are a of a certain age the Japanese TV version that was simply known as “Monkey” here in the UK. 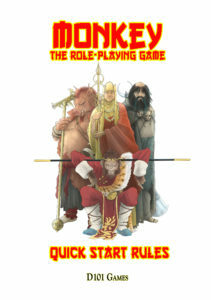 Monkey was one of our first releases and seemed to take an age to get written, but once released its one of our more popular titles. Read more about the game, on its own webpage. This blog will be about the game, plus any future games that we are working on using the Yin-Yang system.